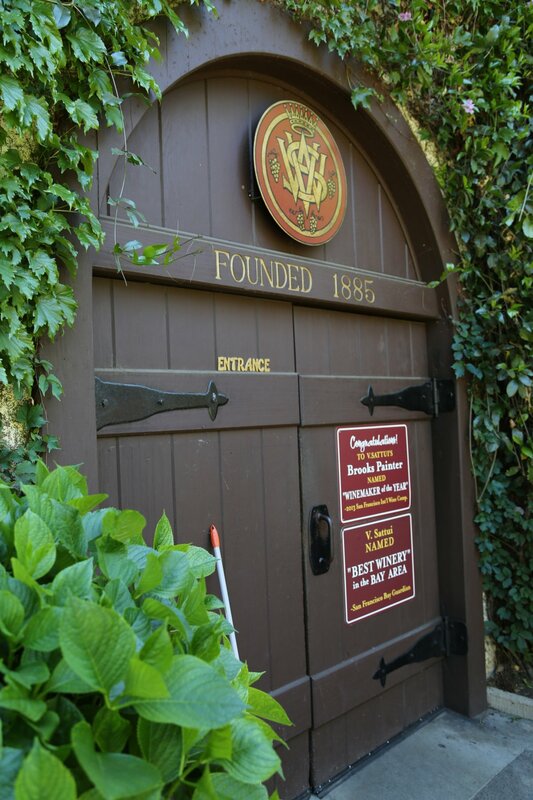 The original V Sattui Winery was founded in 1885 by Vittorio Sattui in San Francisco. He emigrated to California 3 years prior from a small town near Genova in northern Italy. He and his wife ran a boarding house in North Beach (historically an Italian settled neighborhood within San Francisco). Vittorio started making home wine and sharing it with friends and family. Demand for his wine became such that he was able to quit baking and running the boarding house and turn his efforts full time to wine making. 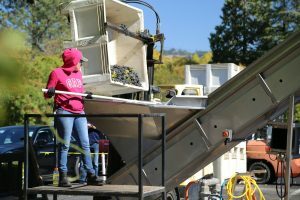 This is not the first time we’ve heard this story in Napa – we’ve come across a number of contemporary vintners who also started making home wine which turned out better than perhaps they even considered and then turned it into a commercial venture. 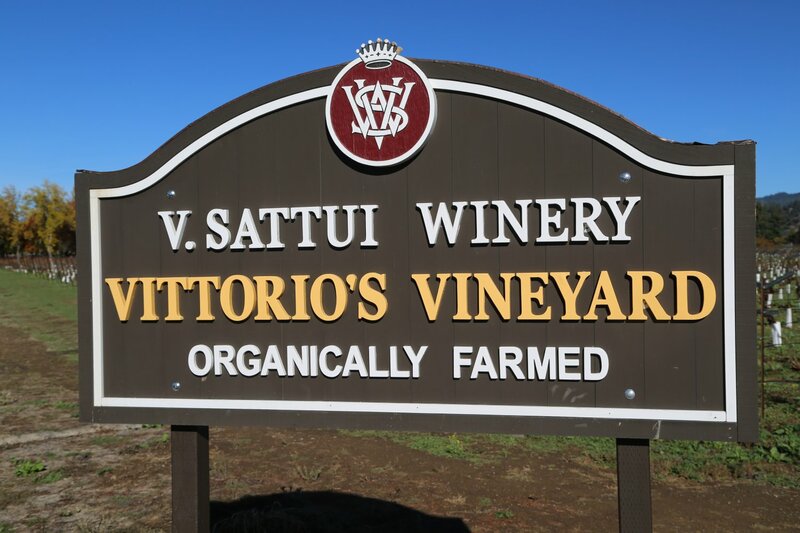 Vittorio called his original winery St. Helena Vineyards – named after the town and region where he would personally travel from San Francisco, to select the grapes and then haul them by horse drawn wagons back to his winery. This is not the hour trip it is today – this could have taken all day in the late 1800’s! 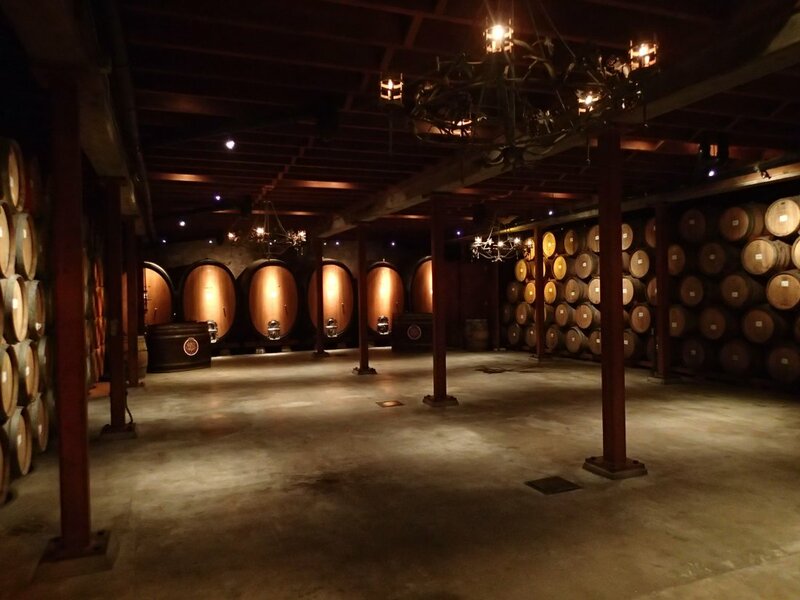 Eventually he moved his operations from North Beach to the Mission District in San Francisco and named his new location V. Sattui Wine Company. 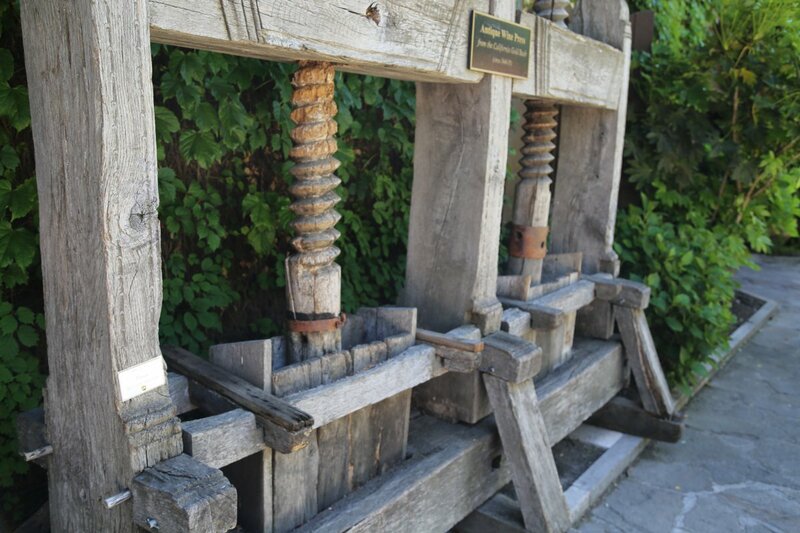 Then prohibition hit and V Sattui Winery was closed for 50+ years from 1920 until Vittorio’s grandson Dario Sattui decided to look for land in the Napa Valley. 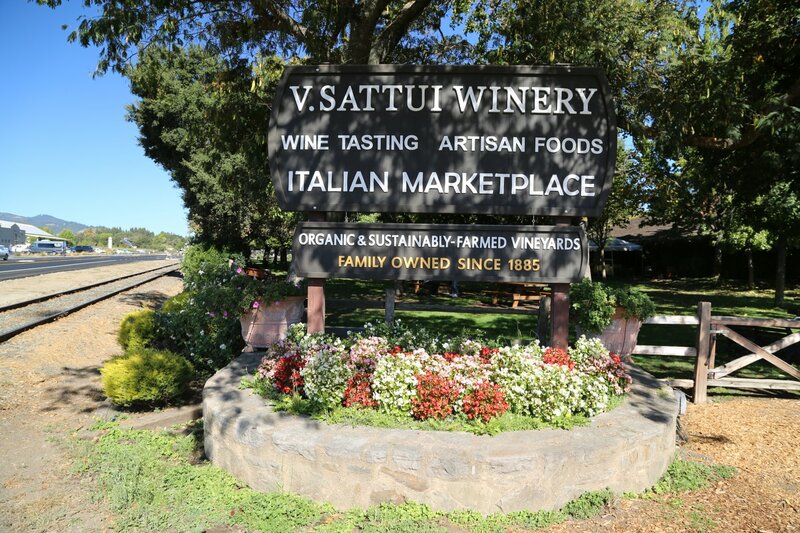 In the mid 1970’s when Dario was interested in purchasing property, there were only several properties zoned both commercial and agricultural – the current site of V Sattui being one of them. This zoning has been extremely valuable – as it is rare in the Napa Valley to have a winery that is zoned for multiple uses like this site is – they can hold weddings, they have a deli and can hold a variety of large (by Napa standard) events on site. 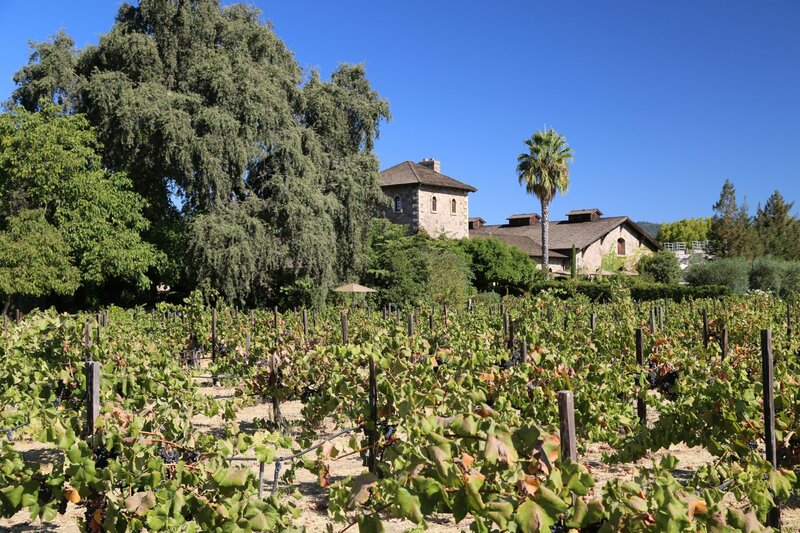 It always says something about a larger winery (by Napa standards) when the tenure of many of the employees at the same winery is measured in years, rather than months – and some have been here well over a decade and longer. They even have some employees who have been in the “front of the house” for a number of years (an industry term, ie tasting room staff) where turnover is really rather remarkable – often measured in months. The winery offices are on site, management are located here rather than some off site location. Owner Dario Sattui has stepped back a bit from the daily operations but sometimes you can see him in the tasting room or helping out in his other winery, Castello di Amorosa. His niece also works at V Sattui. Take their President and part owner, Tom Davies. 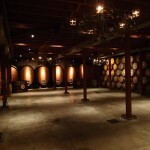 In 1980 the number of wineries in the state of California was minimal compared to what it is today. Tom sent his resume to 60 of the most well known and nearly all the major wineries in the state. No response from 57 of them, 2 responses indicating no interest, and a response from Dario Sattui, saying “come on by after work”. Tom then dropped by their production facility, which is now the site of their primary main tasting room. Dario was hand bottling a number of V Sattui wines – told Tom to come back in a bit. After Dario was finished bottling, they enjoyed bottle of Amador Zinfandel over a game of ping pong – essentially this served as his interview. He was hired and it has been over 30 years since his first harvest at V Sattui. 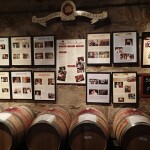 V Sattui has certainly hit upon what the general public is looking for based on their popularity all season long. 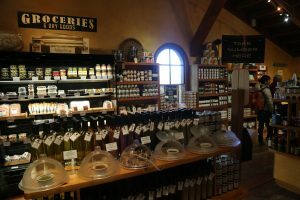 They have an incredibly large variety of wines ranging from the very light Rose’s, to whites, reds, sparkling, Italian and a good selection of dessert wines. The Napa Gamay Rouge is by far their most popular wine. This winery has been named the top winery in California for several years out of over 650 wineries at the California State Fair. They generally always place high in select tastings and wine judgings. V Sattui is the longest locally owned family run winery in Napa Valley (albeit with a 50+ year gap in production). 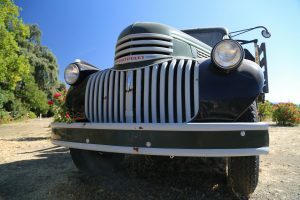 The winery is located just south of the town of St. Helena in the heart of the much visited loosely called “wine strip” between Yountville and St. Helena along Highway 29. The “wine strip” is the most visited part of the Napa Valley by numbers with many of the well-known Napa wineries located along here. Parking is next to the winery – if that adjoining lot is full there is a parking lot towards the back of the winery. There is plenty going on here – V Sattui Winery doesn’t have the corporate feel that some of the larger area wineries have. 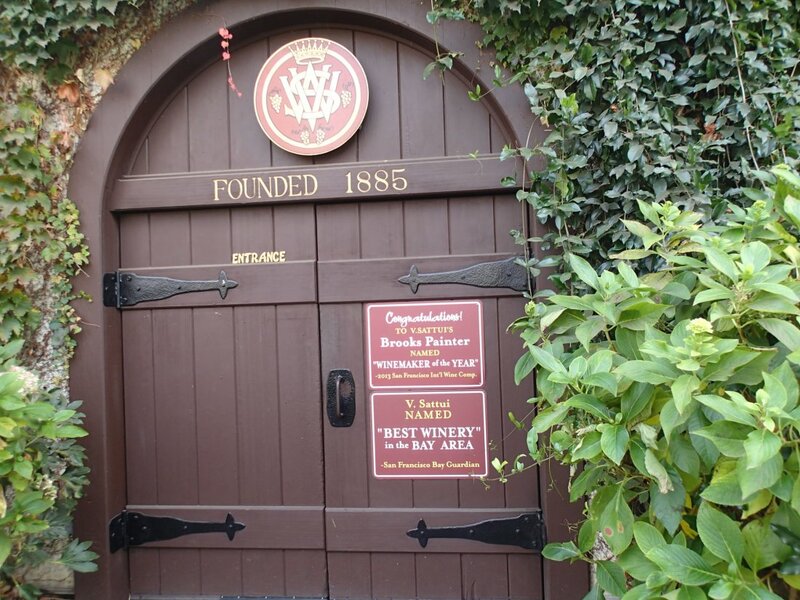 In contrast to most of Napa’s wineries and producers, V Sattui only sells their wines at their winery – that’s it, no direct sales to stores or restaurants although like most wineries, you can purchase online. 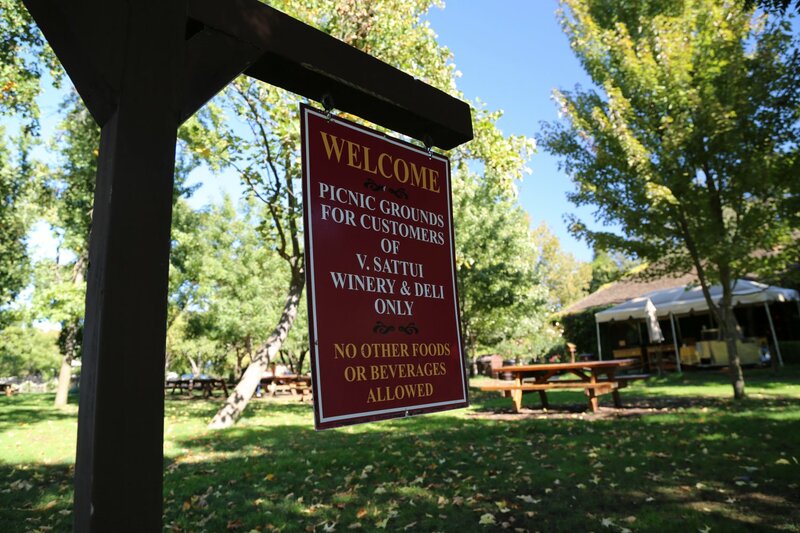 Many picnic tables are on the grounds, but are only to be used for wine and other winery purchases; there are often many people sitting around picnicking on good weather days. On the weekends, seasonally and weather permitting – a BBQ wafts aromatically pleasing smoke over the grounds of the winery. More recently, a pizza oven was also installed on site and is in operation from April through October on the weekends. V Sattui treats their club members extremely well. They hold a number of events throughout the year – some in the range of 500+ attendees. 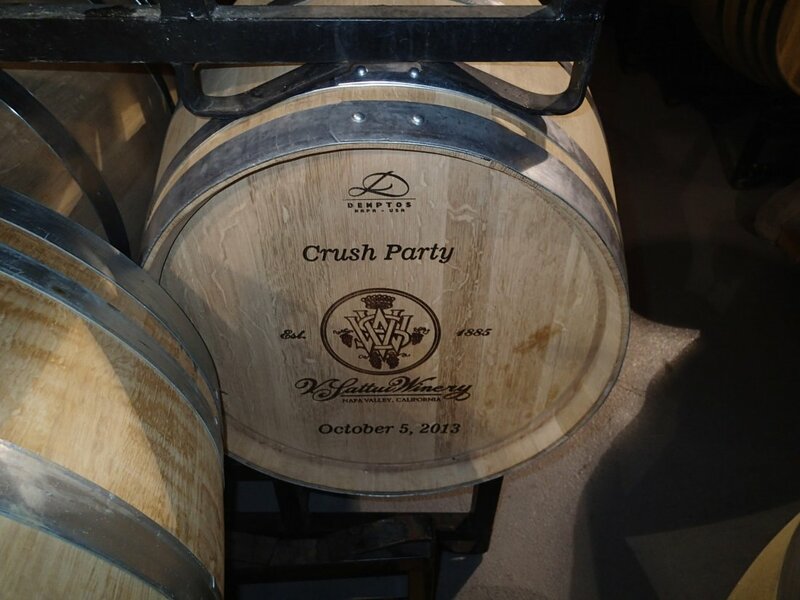 One of their most popular club events is the Barrel Tasting party, always held in mid to late January. Some members plan their holidays around this event. The timing actually makes sense – there are less people in the valley, it is easier to find accommodation and hotel rooms are generally quite a bit cheaper than during the height of the harvest season. 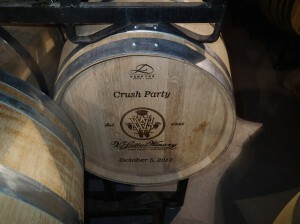 The Barrel Tasting party allows members to try wines right from barrels. Education (giving customers a reference point for how wine ages), the experience, oh and the food is a big part of this event. V Sattui partners with Italian chefs – many of which are Michelin starred from various regions in Italy to produce the cuisine. Selling wine futures has been a part of their offerings since the early 1980’s. 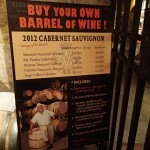 Essentially you can buy/reserve a certain number of bottles or cases before a specific wine is actually bottled – while it is still in the barrel. 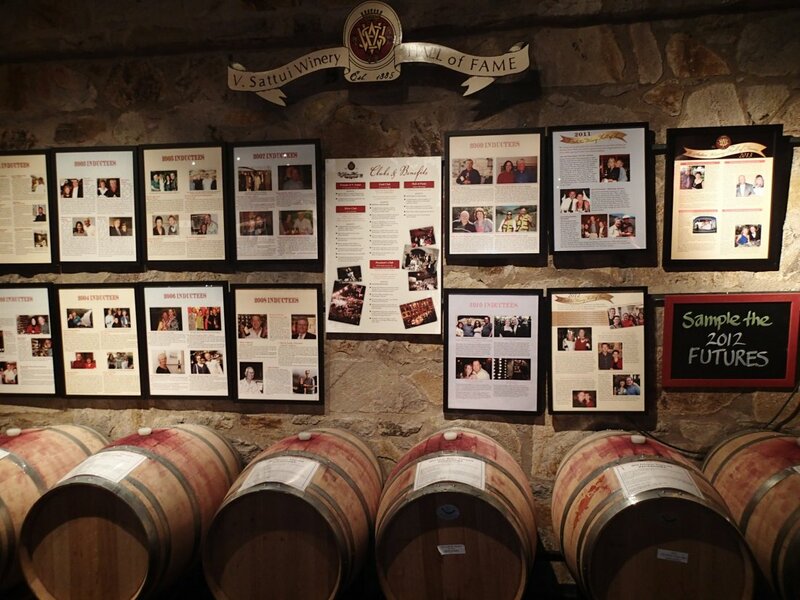 Special mention must be made about the V Sattui Hall of Fame. 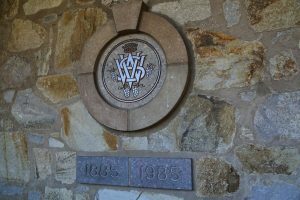 This is reserved for their best clients – members who are inducted in this are spotlighted with a large photo and description of their interest and history with V Sattui in the Club Members room and on the winery website. 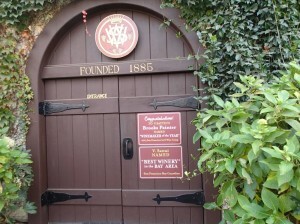 Some inductees are serious V Sattui collectors – with hundreds of bottles and first visits that go back several decades! The winery itself is beautiful – stately oaks grace the property and the Italian style rock moss covered winery buildings provide good photo ops. This was not a winery when Dario purchased the property in the mid 1970’s. 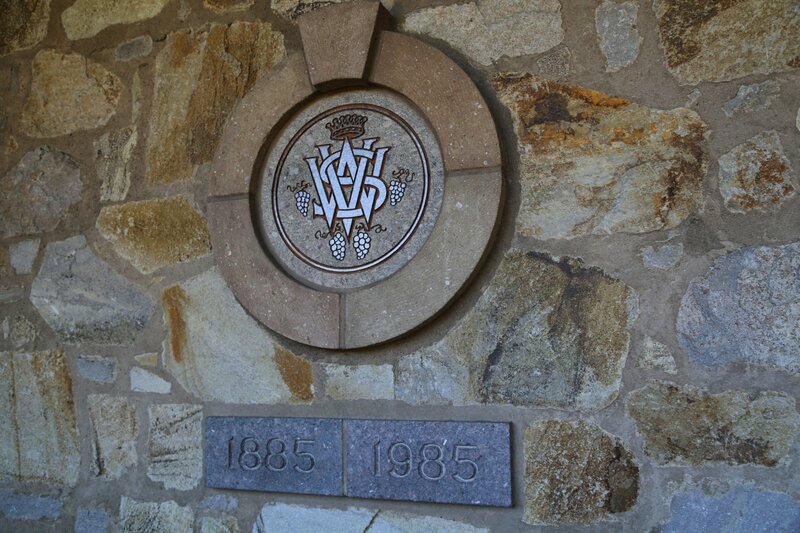 He started building the winery in 1975 and it was finished in 1976. Walk down the stairs of the building with the tower and take the free self-guided tour of their cellar room and small wine museum (to be updated in early 2014). 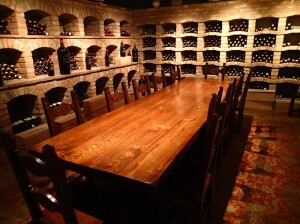 A Club Members only wine room and tasting bar is located near the cellar and is usually much less crowded then the often frenzied main tasting room. During the winter the fireplace provides natural heat and during warmer days, you can taste out on the Vittorio Terrace overlooking the Vittorio Gardens and beyond that, no surprise is a vineyard also named after Vittorio. 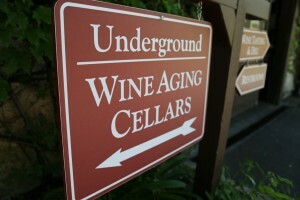 A special room for Library wines is available to club members. 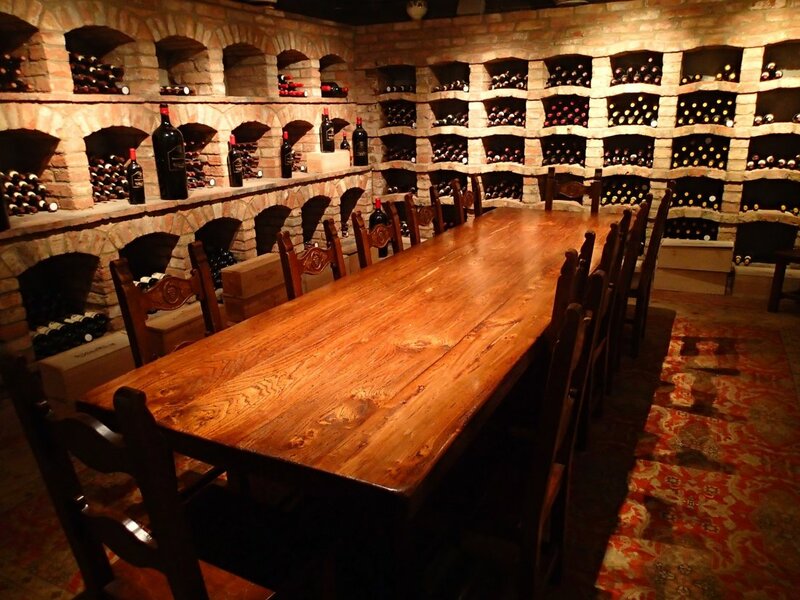 The adjoining Gold Room can be reserved for use by prior appointment and is for their top wine club members. Once Dario’s second Napa winery opened, Castello di Amorosa in Calistoga, the pressure of producing the amount of wines here was lessened. 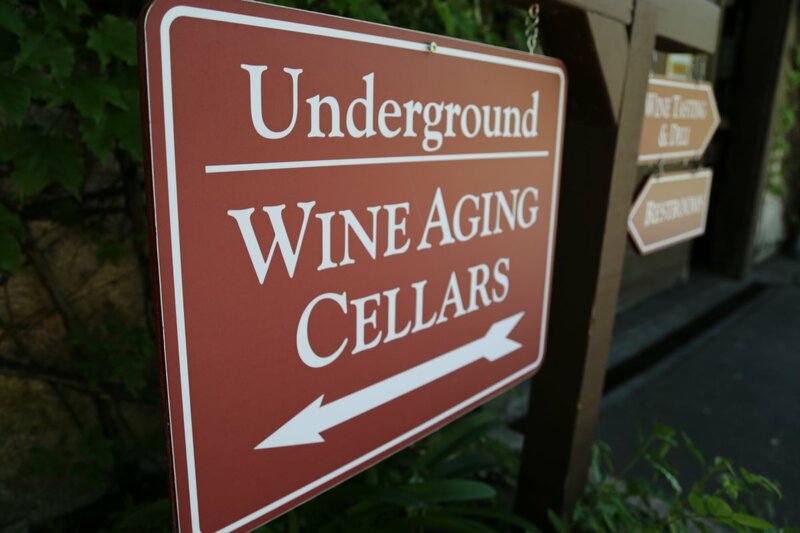 A wine cave at the “castle” and more space in general at that winery allows them to now age all their red wines there – while the production facility at V Sattui is better suited to producing white wines. 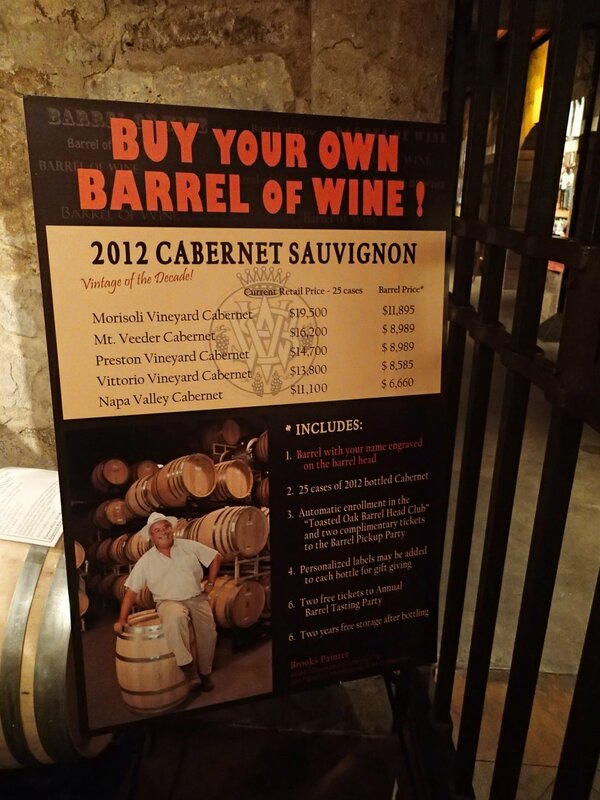 In 2012 after a bountiful harvest (good conditions all year produced a larger than average crop), V Sattui decided to introduce a “Bottle your own Barrel” program focusing on each of the individual Cabernet Sauivgnon’s they make. This is great for serious collectors who have a lot of friends to entertain, corporate groups wanting to impress clients, corporate gifts – or anyone looking to buy 25 cases of a single wine – available at a far better price point then purchasing retail and direct for smaller quantities. 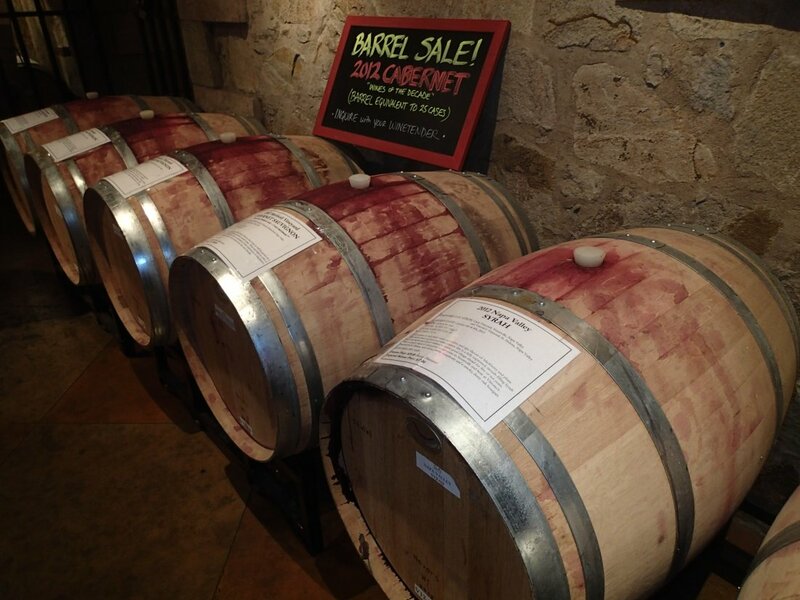 Remarkably V Sattui produces well over 60 wines annually – spread out over approximately 50,000 cases. 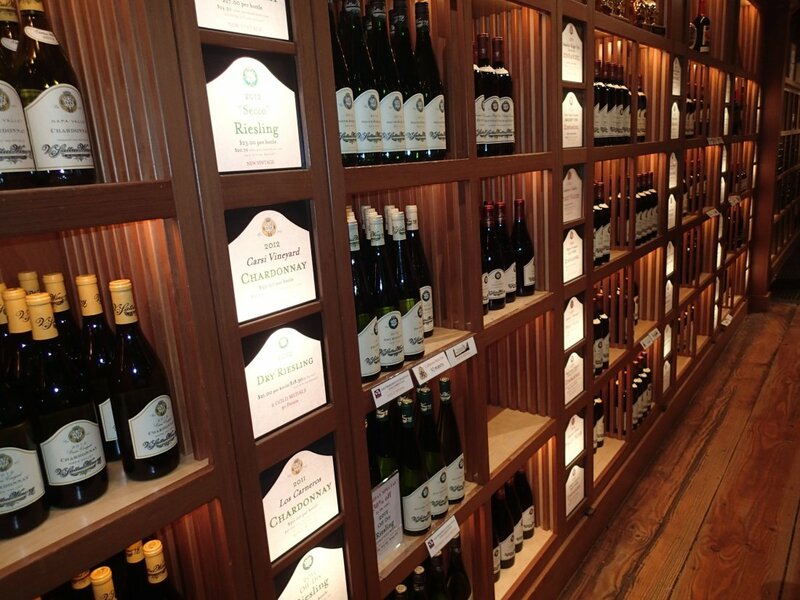 With such a wide variety of wines, they have nearly a wine for every palate and every taste! In many cases, they take a single varietal and then introduce various styled wines based on that one grape. Take their Riesling for example, they produce several off dry wines from this varietal, a dry Riesling and a dessert styled wine. With nearly 900 acres of planted vineyards in their portfolio, 70% of which comes from their estate owned vineyards they have plenty of terroir to choose from. 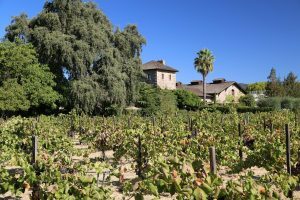 Their vineyards are focused in the Napa Valley but they also have property in neighboring Solano, Sonoma and further to the north, Mendocino County. 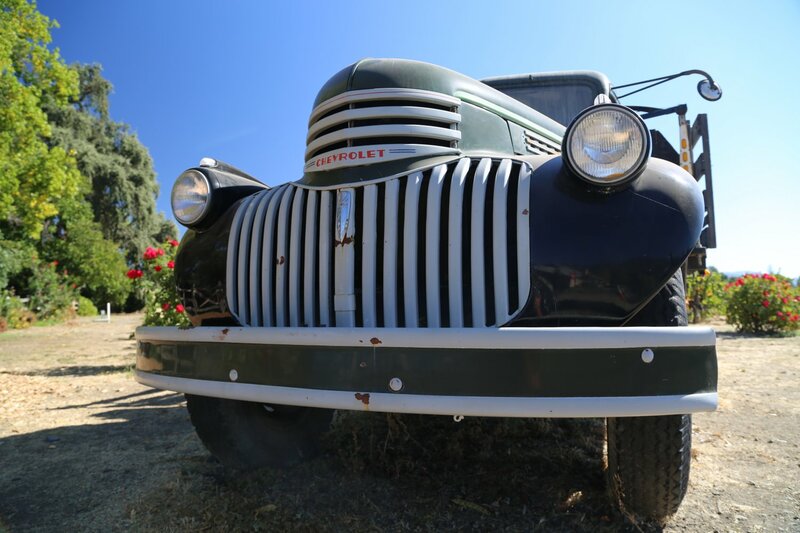 One of their larger vineyard properties is in the Carneros region of southern Napa; it is certified Napa Green (a certification developed by the Napa Vintners to indicate environmental best practices for both vineyards and wineries). V Sattui was one of the early adopters of this program. The winery itself is undergoing certification to be a Napa Green Certified Winery. 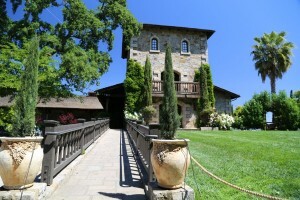 V Sattui makes several premium Cabernet Sauvignons – sourced from several of their vineyards, all in Napa. These aren’t unknown vineyards either – the Morisoli Vineyard is right next to the vineyard that the semi-cult Scarecrow Wine sources from, they have a Mt. Veeder Cabernet from their property in the southern part of this appellation, the Vittorio Vineyard is on site, and a Preston Vineyard (in the heart of Rutherford). In a break from what has been traditionally a form of the same label used on all their wines (the classic V Sattui label that one instantly recognizes across their wine portfolio) – the Paradiso features a bright and lively artistic label – an Italian artist and friend of Dario’s created the painting that was used for this label. This is one of their premium wines – a Bordeaux style blend. The 2009 vintage shows high toned red fruit aromas on the bouquet – red cherry, cranberry, red currant – with some holiday spices and a hint of white pepper. It has a soft entry but quickly builds in structure leaving both fruit and lingering tannins for some time on the finish. One of their most popular wines is a Frizzante style Moscato (sweet wine). Their VP of Marketing, Claudette Shatto was in Tuscany and Umbria on a personal vacation. She discovered and enjoyed a number of fizzy wines with bubbles made from the Muscat grape. Upon her return to work, she presented the idea to make this wine at V Sattui. Their first vintage, the 2007 sold out in merely months. Today it has a loyal following among many of their customers. 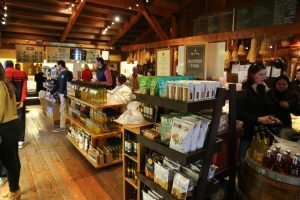 It is rare when you can visit a Napa winery and try more than one sweet wine (assuming the Napa winery even makes a dessert wine). V Sattui makes a number of dessert wines and wines that are off-dry (slightly sweet). They also have made vintage ports as well as a Solera style port (non vintage) in which some wine is blended from barrels containing previous vintages dating all the way back to when the first vintage of this wine was made. 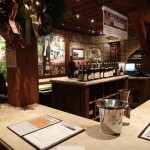 Both their general and reserve tastings are reasonably priced (based on Napa standards). Choose from a number of wines from the tasting menu. 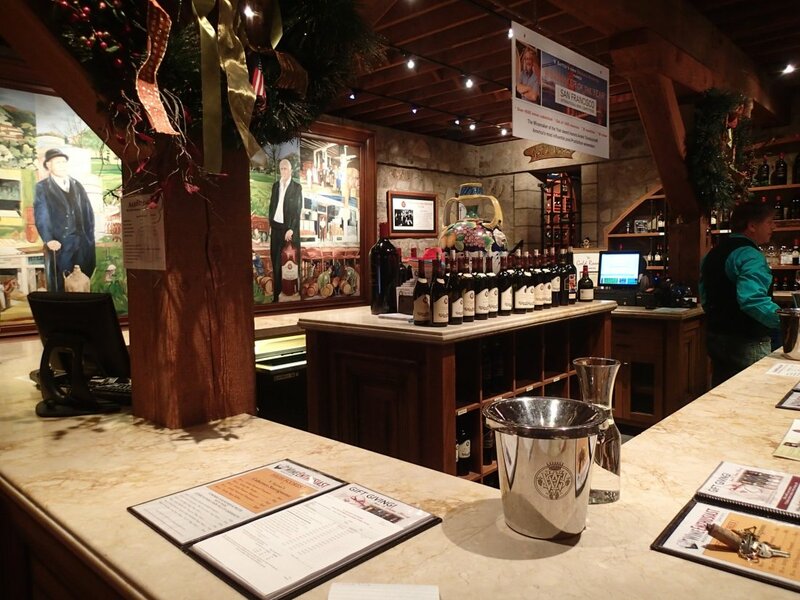 The wine tasting bar lines the walls of 3/4 of the main room; it is divided into sections so when it gets crowded another section will open up. 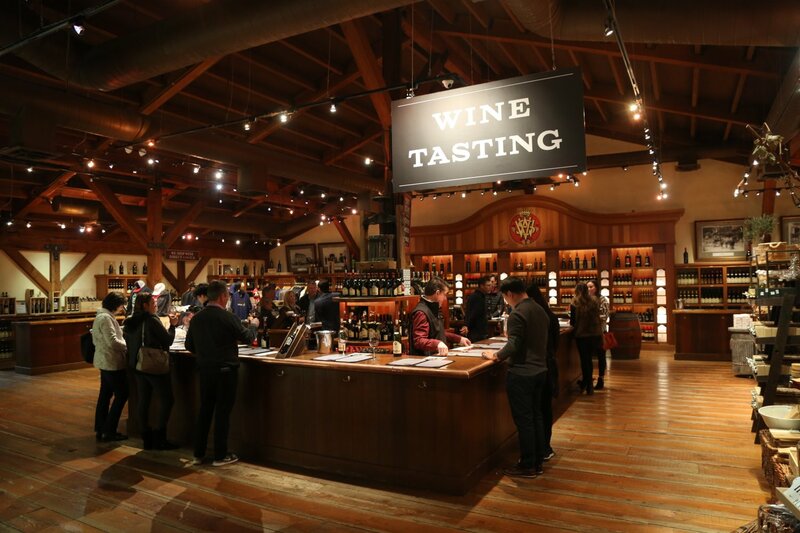 This is one of the largest tasting areas of any of the Napa Wineries we have visited. 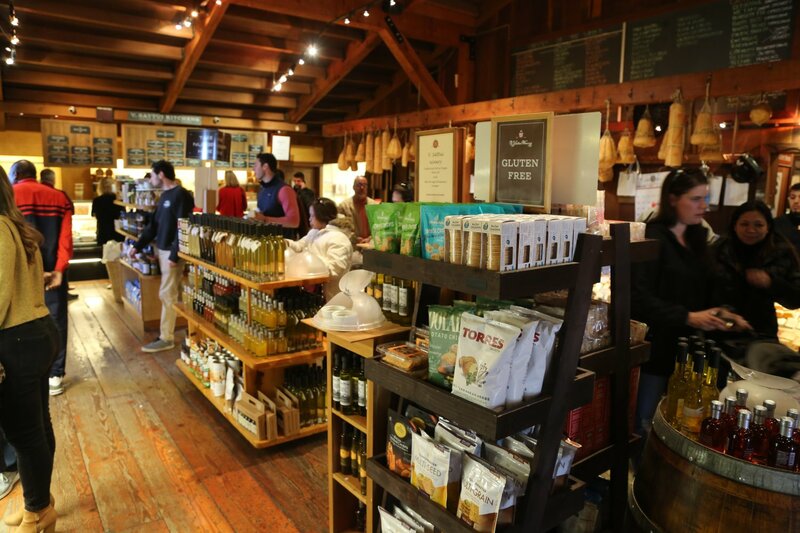 It is large for a reason; the tasting room can get extremely crowded. 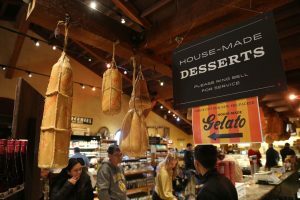 V Sattui runs one of the finer deli’s in Napa – focusing on Italian foods, wines, olive oils, cheeses and pastries among other products. 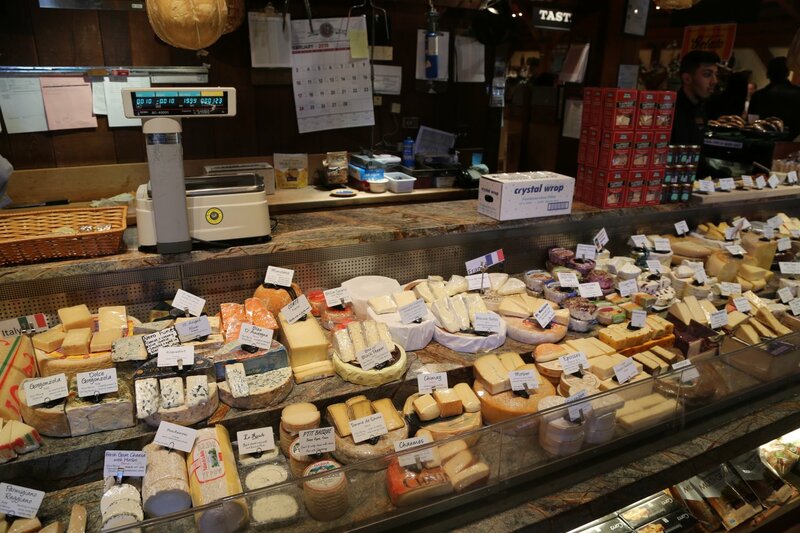 A little more unusual is their tasty, “formaggio con carciofo” or in English, Artichoke Cream Cheese. 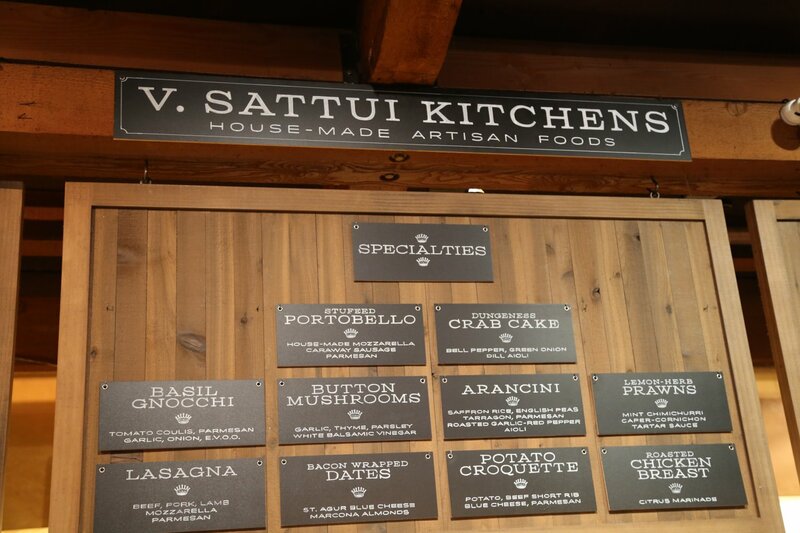 V Sattui also runs a commercial kitchen located just north of the winery. 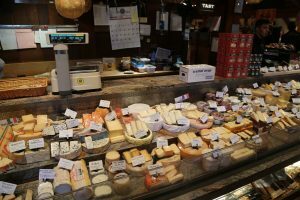 Here they produce a variety of hand crafted products including their delicious Bresaola – an Italian styled cured/dried meat. This is a top round of meat and its style of aging originates from northern Italy. 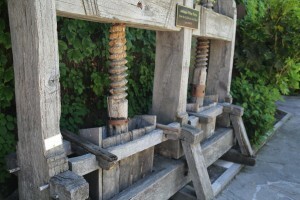 V Sattui produces several types of Bresaolo – a 30 day aged and a 90 day aged. Another 60 days provides some remarkable differences between the two produces. The longer aged Bresaolo is noticeably darker and has a noticeable richer depth of flavor. 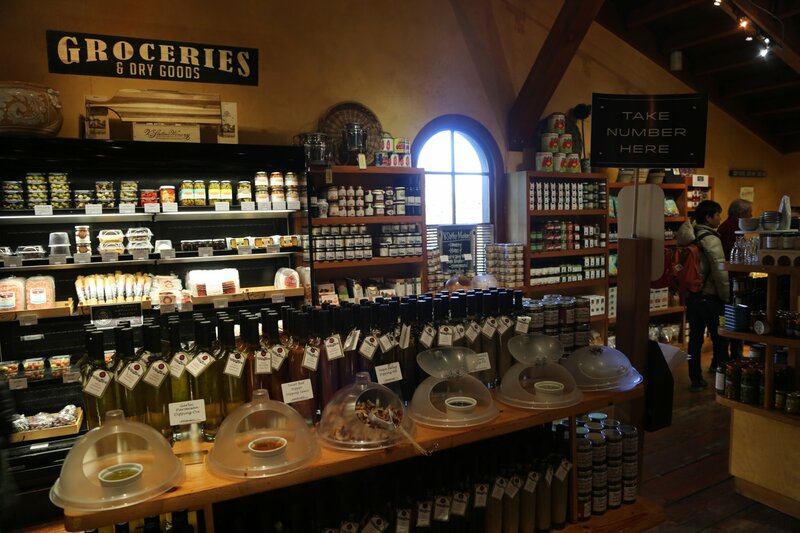 The winery also produces and cures their own salami and sausages. Sandwiches are made on site – and there are a variety of salads ready to go. Fresh pastries and deserts are available in the deli – all hand made from their own pastry chef. A new product at the time of this review is the Crema di Lardo – a product essentially made from rich pork fat. This may not sound appealing but when it is aged with a variety of herbs, a touch of vinegar and rosemary – the final product is more than savory. Spread it on one of the long baguettes they sell here, add a slice of the Bresaolo and you have an irresistible tasty snack! 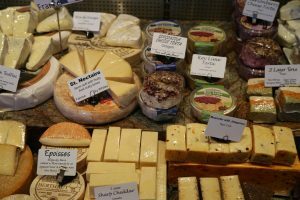 I recently visited your winery & fell in love with Artichoke cream cheese. How do I go about purchasing more w/o having to re-visit Napa?